Defective Medical Devices: How To File A Product Liability Claim If You Were Injured? On behalf of admin of JML Law, A Professional Law Corporation posted in Product Liability on Wednesday, May 16 2018. Although one would expect medical devices to be completely safe, it is not always the case. In recent years, as more manufacturers, retailers, and sellers of medical devices entered the market, product liability claims involving defective medical devices have been on the rise. People resort to medical devices in order to improve their health or get better, but end up suffering injuries. This is unacceptable and unlawful under California product liability laws. Needless to say, suing the manufacturer and other parties in the chain of distribution for a defective medical device comes with a series of legal obstacles and challenges, warns our Long Beach product liability attorney at the JML Law. What is defined as a ‘medical device’? The first legal challenge is to determine whether or not the product that injured you can be classified as a “medical device.” The term “medical device” is a broadly defined term, which refers to many devices used by medical professionals and doctors to treat injuries, illnesses, and diseases. In fact, the term “medical device” can also refer to devices that are intended for home use and do not involve the help of a medical professional. To name a few, defective medical devices refer to defective implants, defibrillators, contraceptive devices, and many others. Defectively manufactured medical devices (the defect occurs as a result of negligence on the part of the primary manufacturer, manufacturers of parts or components, retailers, shippers, sellers, and other parties in the distribution chain. In other words, the defect can occur at any point between the moment the medical device is being manufactured at the factory up to the point when the device ended up in a consumer’s possession). Medical devices with a defective design (this defect affects not just one item with an inherently unsafe design, but the whole range of products from the same line. A defective design refers to an unreasonable dangerous design). Medical devices with defective or inadequate warnings (also known as defectively marketed products. A lack of or inadequate warning or instruction about a potential hazard or its safe and appropriate use). Who can be held liable for a defective medical device? The final step take before filing a product liability claim in Long Beach or elsewhere in California is to establish the entire list of potential defendants in your case. 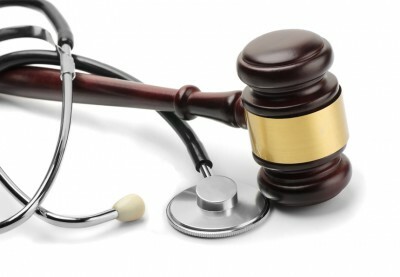 In other words, who can be held liable for a defective medical device in your case? Our Long Beach product liability attorney at the JML Law explains that the more defendants you can sue in your lawsuit, the bigger the dollar amount of a settlement or verdict. A rule of thumb is that you can name every person or business involved in the chain of distribution of a medical device, everyone who was involved in manufacturing, testing, distributing, and selling the products before it ended up in your possession. Medical professionals who failed to warn you about potential dangers or failed to provide proper warnings or instructions. If you have been injured as a result of using a defective medical device, do not hesitate to consult with an experienced product liability lawyer at the JML Law. Determine liability, establish all parties that can be held responsible, and calculate the value of your economic and non-economic damages and losses today. Get a free consultation by calling our offices at 818-610-8800 or send us an email.